Roy Owen Haynes, born on March 13, 1925, in Roxbury, MA, is one of the few jazz musicians alive today whose roots touch the origins of jazz itself. Of West Indian descent, his first experience in music was observing his father, a church organist. 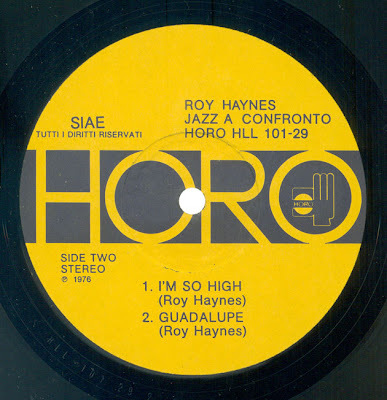 When Roy plays his drums, sixty years of experience informs every authoritative stroke. 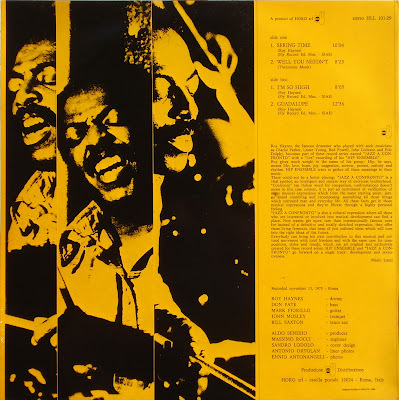 A working musician since 1942, Haynes' unrelenting swing and sound of surprise has graced the bands of a who's-who list of jazz innovators across a wide spectrum of improvisation. 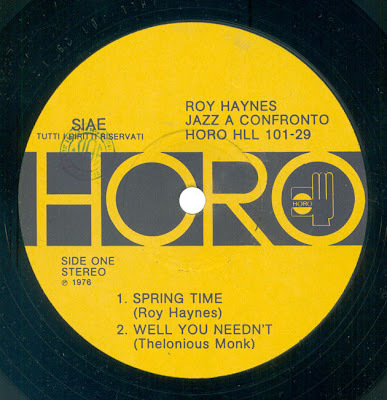 A1) Spring Time - 10'04"
A2) Well You Needn't - 8'25"
B1) I'm So High - 8'05"
Davvero interessante questo progetto. Erano altri anni e forse anche altre passioni. Oggi tutto questo non c'è più. Molte grazie. hi, thank you, I've waited few years to hear this LP. But wouldn't it be nice to split it in tracks before encoding? 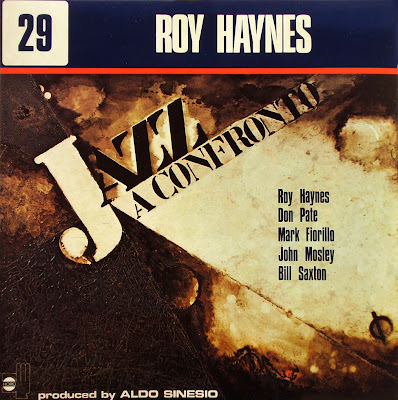 Hi, please why not "jazz confronto n°28" ? is it possible to reload this cd , the link is dead ?